This wall tapestry "Vintage Spring II" shows a beautiful floral and geometric design. In this piece we see gentle greens, golds and creams in a work which is created by floral and foliage motifs with geometric designs to create a decorative work. 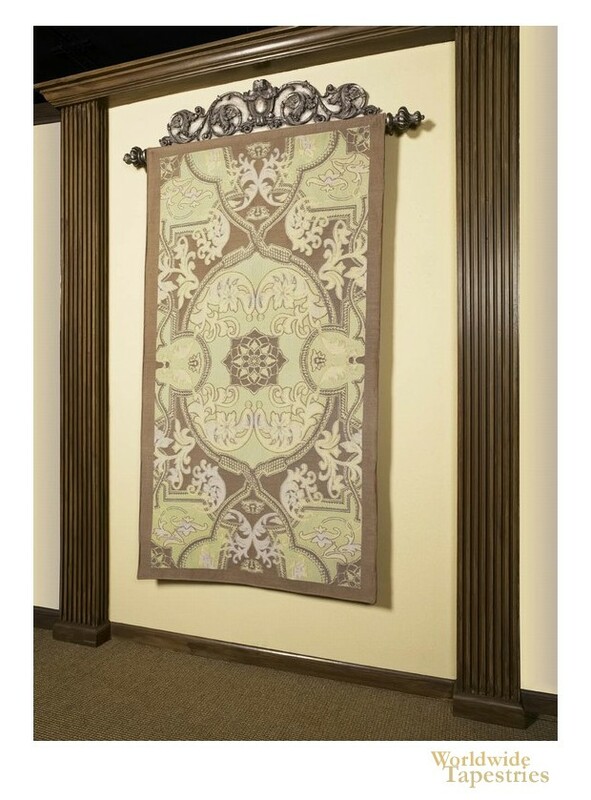 This art tapestry "Vintage Spring II" is backed with a lining and has a rod pocket for easy hanging. Note: tapestry rods and accessories, where pictured, are not included in the price.